Garett Teel’s mastery of baseball came from his experiences with the LA Dodgers, but his respect and love for the game began very early on. Garett was named All-State in 1985 and 1986 at Ridgefield Park High School, and he was chosen to be an All-Bergen County Century Player. He continued to play in college at William Paterson University, where he was named College All-America in 1987. He made several personal achievements including First Team All-Conference in 1986, 1987 and 1988, and was named the Best Catcher of the half Century Team. To further enhance his baseball career, he played in the prestigious Cape Cod Collegiate Baseball league. Professionally, Garett was drafted in the 11th round of the 1989 MLB Draft by the Los Angeles Dodgers. Playing five years in the minor leagues and as a catching coach for two, he gained an extensive and unique knowledge set from great people like John Roseboro, Roy Campanella, Maury Wills, Chico Fernandez, Reggie Smith and Dave Wallace. Garett took his incredible experience, and decided to apply his knowledge and passion to teaching the game that he loves. 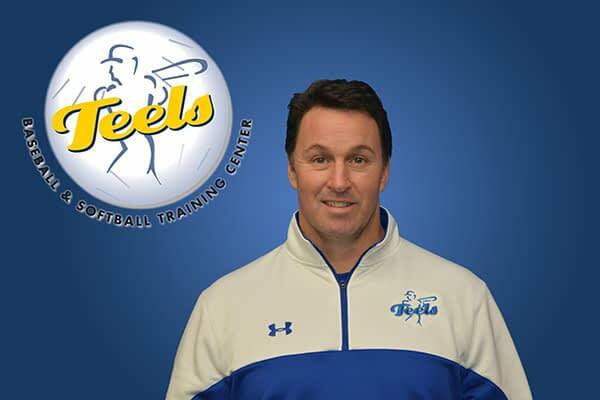 He established Teels Baseball in 1999, and has trained over 200 players who are playing or have played in college, at all divisions. Fifteen of the players he has trained have been drafted, and are playing or have played professionally. In addition, he established several Elite programs in catching that are utilized throughout the tri-state area. These programs have produced several players that are drafted or signed to professional contracts, most notably, Eric Duncan, NY Yankees 1st Round Draft Pick, out of Seton Hall Prep High School. Some other drafted players are Mike Murray, Robert Kral, Frank Florio, Lee Rubin and AJ Murray. He has spent years training his instructors, developing progressions for hitters, fielders, and catchers, and obtaining all the necessary knowledge to ensure his players cultivate proficiency and understanding of their discipline.